Some inexpensive plastic buckets and vinyl letters and you have the perfect way to serve cold drinks and treats at your 4th of July party. 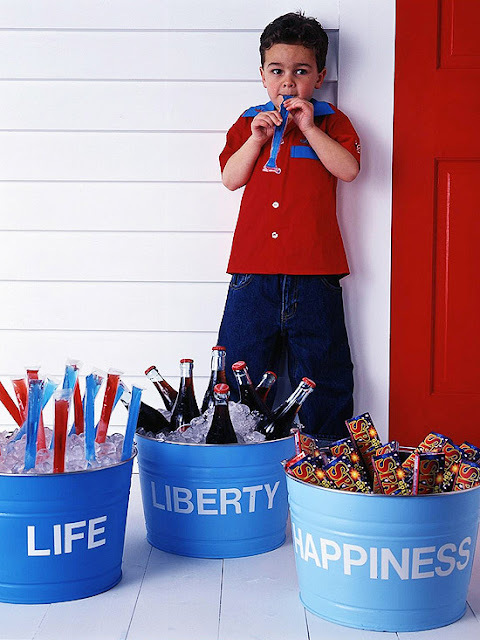 These patriotic party buckets are an easy way to decorate for your celebration. You can check out how to make these 4th of July buckets over at Better Homes and Gardens.